These articles cover topics that help your clients manage finances on behalf of their children and also include financial education tips for children. Most people make child maintenance payments from post-tax money. This article explains how a Child Maintenance Trust can help your readers in this position fulfil child support obligations and allow children to pay less – or zero – tax. When relationships break down, child maintenance payments are often made from post-tax money. If this is a position you are facing, perhaps you might be interested in learning about a Child Maintenance Trust. According to the National Centre for Social and Economic Modelling (NATSEM), the cost of raising two children is estimated at $........,000. For those in the 45% tax bracket, every $...,000 in child support costs nearly $...,000.Just as alarmingly, children receiving payments of ‘unearned’ income, such as support payments can attract tax rates as high as 66%. This article highlights the staggering costs associated with raising children, in particular, their education costs. To demonstrate the benefits of planning early, the article uses an example of two couples who planned for this expense differently and discusses different options for building a Family Future Fund. How much does it cost to raise a child? Obviously the answer is highly dependent on individual circumstances. However, as a guide, a 2013 national study found that a typical middle income family would spend about $.....,000 on raising two children from birth to age 24. At that time child-raising costs were increasing at around 9% per annum, so it’s a reasonable estimate that these days the cost of getting two kids to the point where they’re ready to leave home (that’s not to say that they will) is closer to $..........! And that’s a middle of the road figure. This article is about a free service provided by the Financial Basics Foundation to improve financial literacy in our schools. It explains how the service works and is written for your clients to pass onto their children’s or grandchildren’s teachers/schools. Financial literacy is a fundamental life tool. Teaching our kids about financial management from a young age should be a high priority as this is now recognised as an important stepping stone to financial success. Fortunately, secondary school teachers now have access to free teaching resources through not-for-profit organisations such as the Financial Basics Foundation. These resources can help students become well-equipped to make informed financial decisions and fight spending temptations; better enabling them to set and reach their financial goals. What is the Financial Basics Foundation? This article focuses on the next stage of teaching your kids about money – using language they understand. Smartphone apps have taken over the role of visiting the bank with a full piggy bank. This is a brief introduction to two alternatives. We all want the best for our kids. Life throws many challenges at them as they grow up and one that is becoming more and more important is navigating the financial side of things – dealing with money in an ever-changing world. Wireless-based technology allows children from alarmingly young ages to do everything online, usually via a mobile device. Having instant access to the world is an expectation for many youngsters nowadays. What child doesn’t know what an “app” is? 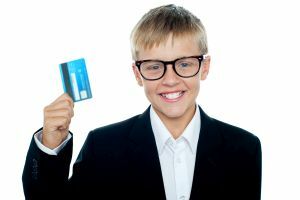 This article outlines the various ways parents can influence how their children view money and teach them good financial habits early in life. It takes a step-by-step approach starting with saving from a young age through to managing debt. When teaching your children to manage their money you are helping your kids grow into financially savvy adults. You might even learn something about your own money habits along the way. This article outlines some of the opportunities parents have when it comes to helping their children financially – including tax issues. When it comes to helping your children or grandchildren get a financial headstart in life there are so many options available however your generosity could create tax issues down the track. Here we explore this topic from a few different angles, depending on how you wish to help them. This short article includes eight tips on teaching children how to manage their money. Each new generation will treat money differently to the last, but children of the 21st Century certainly have many more uses for money than those of the last century. Not all that long ago a bike or a doll was a 5-year-old’s gift of choice; now it’s an iPad! Attitudes and activities are changing much earlier than in previous generations, so, for the sake of their future well-being, it’s important to introduce your children to the intricacies of money management from an early age. This article explains the power of compounding and the incentive to start investing at a younger age. It includes a case study and calculation to demonstrate. It is an excellent reminder about the benefits of compounding for all of your clients, regardless of age. It suggests helping out an adult child/grandchild initially to start them on an investment path. The first lesson most young children learn about money is what they can spend it on – games, the latest toy, their own iPad - but it’s a parent’s obligation to also teach them about managing their money. And the earlier we can teach them about the power of compounding, the more they will appreciate us. This article discusses the effect of young people staying home longer on parents’ financial planning. It focuses your clients who are in this position to reflect on their plans. Remember a time when kids couldn’t wait to leave home so they could have their own “pad”? Those days are definitely over with one and half million adult children now preferring to continue living with Mum and Dad well into their late twenties (and sometimes older!). This article outlines 3 options to help parents best save for their children’s education and reduce the tax liability. If you are a parent you are fully aware that the cost of private education is continually rising, with some schools charging fees of up to $20,000 a year, sometimes more; and that doesn’t include uniforms, excursions and after school activities. The cost of earning a degree particularly in the popular disciplines like law, IT and medicine is also rising. The bottom line is that education is getting more expensive and competition for entry to the best courses will only get stiffer. Rather than having your children start their working life with a debt hanging over their heads, starting a savings plan when they are young is the answer. The key is to put a sound plan in place as early as possible and stick to it.